Completely browser based, like a cloud application, but you are in control. ReadySTORE, using Java as the development platform, is a browser based Point-Of-Sale suite of applications. 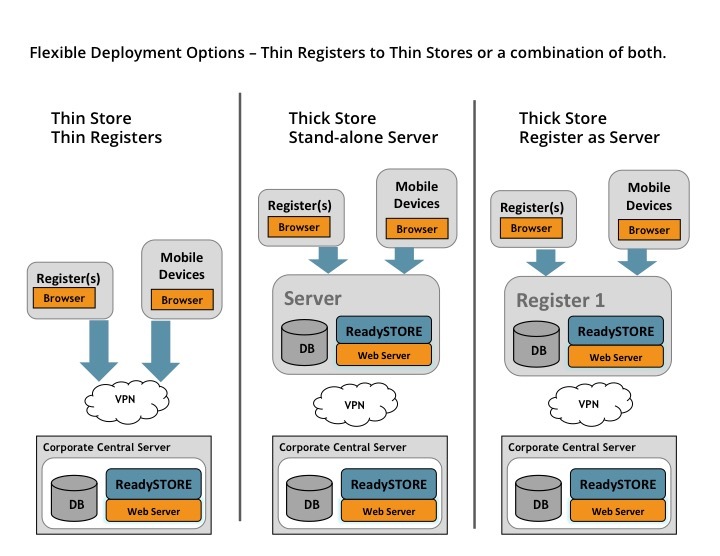 You have the option to run in a completely “thin” store environment, like a cloud application, but you control how you want it hosted and deployed. Extend functionality and integrate ReadySTORE to third-party applications while maintaining full integrity of your future upgrade path. 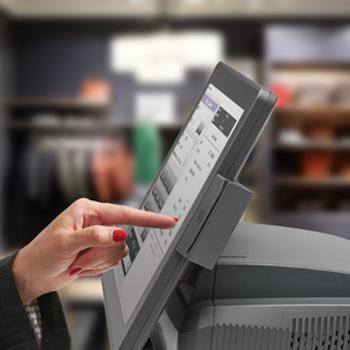 This system architecture and inherent innovation also allows UTC RETAIL to provide a full-featured, comprehensive mobile POS application, putting everything on your traditional fixed systems in the palm of your hand. ReadySTORE can also connect all of your omnichannel applications and make them available to your store associates allowing them to provide the best possible customer experience. Don’t be held back by solutions that limit your ability to react swiftly to new trends in your business or emerging retail technology. With our extensive product features, flexible technology architecture, and options to minimize your total cost of ownership, no in-store system is a better fit for you. ReadySTORE offers complete platform independence, allowing you to choose any commercial or open source products, including OS, web server, browser and database.